The SW100DS Illusion of the Isles is the second unit of a successful SW100 mini-series. 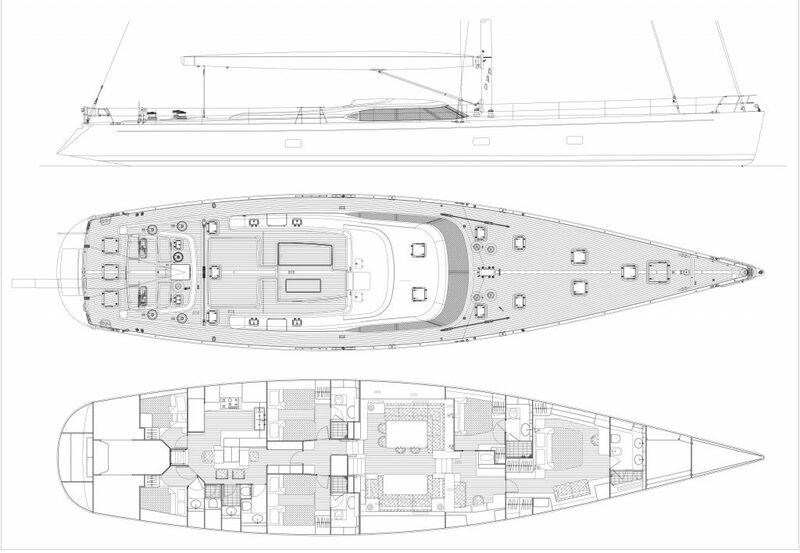 naval architecture has been commissioned to Farr Yacht Design, while the general concept, the interior design and exterior styling have been developed by Nauta Design. Hull, Deck and Structures are built in Carbon fibre and Kevlar and the result is a displacement of 64 tons. 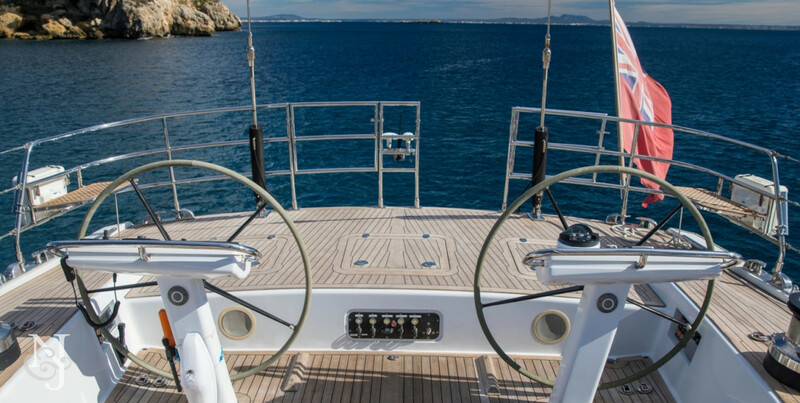 The deck plan allow easy sailing and comfort both to crew and guests. The aft cockpit is an ideal manoeuvring space, while a large sun-bathing area next to the central cockpit allows plenty of room for relaxing and socializing on deck. The yacht’s deck house protects the central cockpit from the weather and creates a spacious upper and sheltered all-around sight saloon which does not obstruct the visibility from the aft cockpit. Nauta has used their Italian styling to create an interior that is both elegant and functional: the layout features a clear separation between the crew quarter and the guests’ and owner’s area. 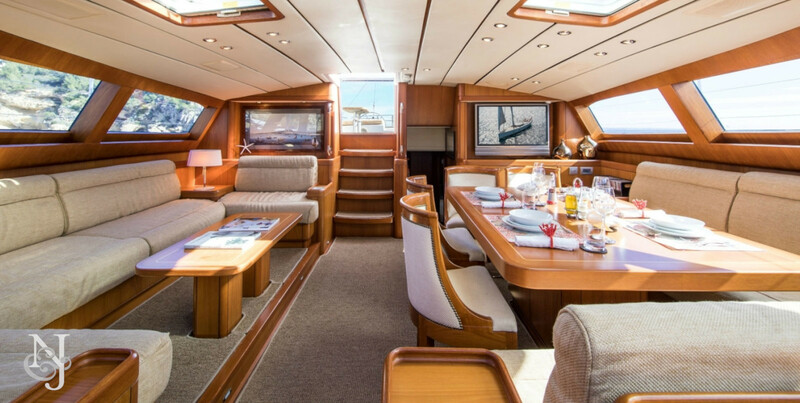 The panoramic Deck Saloon features unobstructed views of the outside and is complemented by a U shaped couch to starboard and a large dining area accommodating 8/10 people to port. 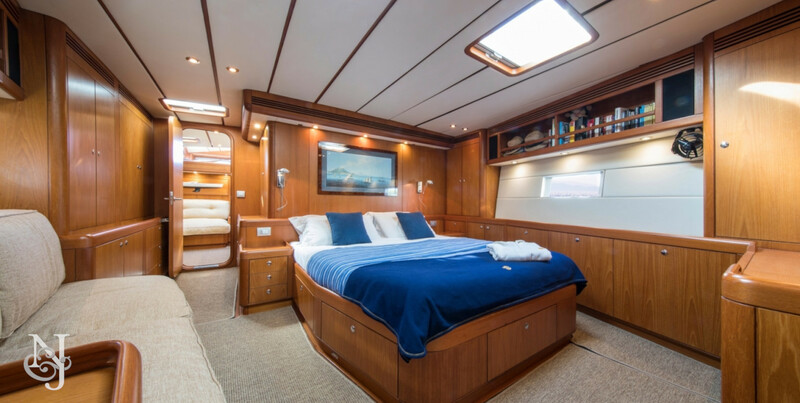 The Crew Quarters are located aft; they include the galley, the crew mess, an ensuite double berth skipper’s cabin, a double bunk crew cabin, two crew heads and one day- head. The area forward of the crew quarters, features two twin guest cabins and a VIP cabin forward of the saloon. The Owner’s Cabin forward features a king size bed, a double-seated couch and a spacious head.